The recent Cambridge Analytica scandal made people realize how much information about themselves they share online. For those of you unfamiliar with the scandal, a company used a Facebook quiz to profile its users, collecting information - mostly limited to what people chose to share on their public profiles but sometimes, the private messages of Facebook users, too. Let's learn three common sense tips to protect your privacy online. While there's no way of knowing exactly how many profiles were scrapped this deep. Facebook didn't disclose the number just yet given the proportions (87 million users), there must be quite a few. In the light of the recent events, here are a few ways to stay safe online from those trying to harvest your personal information and using it as they please. How did Cambridge Analytica collect all that information about all those Facebook users? Through an app called "This Is Your Digital Life", a personality quiz created in 2014 by an academic researcher named Aleksander Kogan. The app was used by Cambridge Analytica to collect information about millions of Facebook users in 2015, and thanks to Facebook's loose restrictions at the time, it collected data from their friends too. Quizzes that ask for access to your Facebook account are very popular today, but there is no way for you to know how those behind them will use the information they collect. So, the simplest way to keep your data safe from them is not to take any such quizzes. They are usually pseudo-intellectual anyway. One of the most common ways websites - everything from social networks to search engines, blogs, online stores, and such track your activity online is by using cookies, small pieces of data stored on your computer or phone. Some of these retain your credentials so you won't have to repeatedly log in to services you use often, others store the list of products you clicked on when browsing a webshop, for example. Have you ever been browsing a webshop and clicking on a product only to be followed by an ad featuring the same product on pretty much every other website you visited? That was probably the cookies' fault. While cookies can be useful at times, making your online experience smoother, you should consider removing them from time to time. If you must visit shady websites that you don't trust, make sure to do it in a "private" browsing session (Incognito mode on Chrome and Private Browsing on Firefox). This will allow you to browse the web without the browser storing any files in its local cache and making the cookies they save temporary, too. Once you close this browser session, all the local data will disappear, and won't affect you in the future. While this is not necessarily a surefire way to keep from being tracked online, it can really be helpful to keep your personal information safer while you navigate the web. 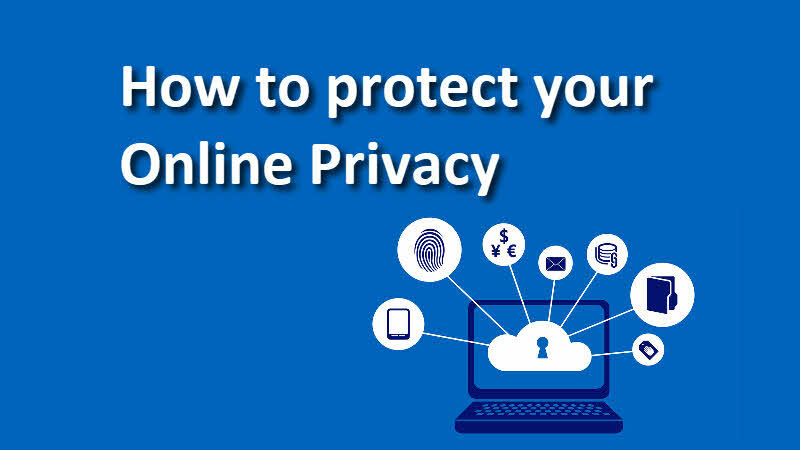 If you have come this far, it means that you liked what you are reading (How to protect your privacy online: 3 common tips).